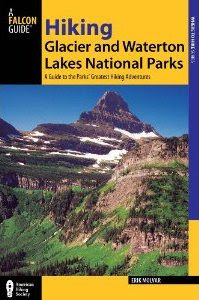 Glacier National Park’s Sperry Chalet, The Next Hundred Years environmental assessment (EA) and associated documents are available online at http://parkplanning.nps.gov/SperryChalet2018. The EA will be available for public review for 20 days; comments are due on May 7, 2018. A public meeting to provide comment on the environmental assessment and ask questions about the project will be held on Monday, April 23 from 5:30 pm-7:30 pm at Flathead Valley Community College in the Arts and Technology Building, Room 139 in Kalispell, MT. 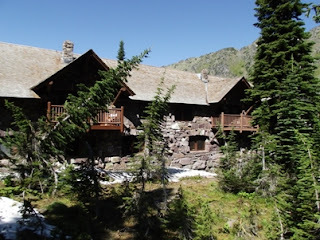 The National Park Service (NPS) is proposing to rebuild the Sperry Chalet Dormitory Building that was badly burned in the Sprague Fire in 2017. Specifically, the NPS is proposing to rebuild the Sperry Chalet Dormitory at its original site within the original walls. The design would restore the chalet dormitory reflecting its period of significance (1914-1949). Some critical updates would be included including current building codes where applicable, and improvements to life safety features including seismic bracing and fire resistant materials. The visitor experience would be very similar to what it has been for decades by using as much of the remaining historic fabric, and replicating historic finishes where practicable. Construction would be completed in two phases, proposed for the summers of 2018 and 2019. Cost considerations and other unforeseen events or conditions could affect the construction schedule. Public scoping was conducted from February 28, 2018 to April 2, 2018 to provide for early public participation, assist with identifying important features of the Sperry Chalet experience, and identify resource issues and concerns. The park received 403 comments; suggestions and concerns raised during scoping were considered in the EA. 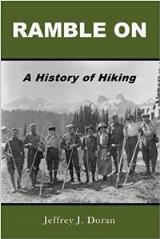 Comments can be submitted online at: http://parkplanning.nps.gov/SperryChalet2018, or sent by mail to Superintendent, Glacier National Park, Attn: Sperry Chalet, P.O. Box 128, West Glacier, Montana 59936. The EA may also be requested by calling 406-888-7898.